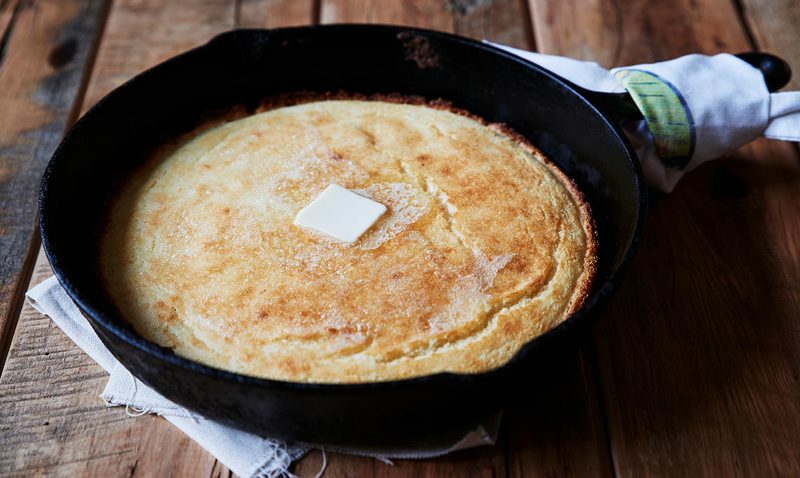 In this edition of Anne Byrn's Taste of a Place column, the bestselling author goes cornbread confidential, giving us recipe secrets and time-honored methods of making the bread we know as the cornerstone of a Southern dinner plate. If you've been inspired to set off on a more meaningful path this new year, whether to simplify and enrich your life, hone in on the things that matter, or just to cook more frugally, I'd like to suggest one recipe for you to master in 2018: Southern cornbread. With its handful of ingredients, tried-and-true method of cast iron skillet-baking, and revered place at the winter table, well, cornbread seems the logical choice. And to decode cornbread, I turned to the woman who knows more about it than anyone else, my friend Mindy Merrell, the cornbread guru. Mindy, who was born in Beaumont, Texas, has lived around the world. She took as one of her first jobs a stint with a Nashville public relations company called Dye Van Mol (now DVL), where she ran the company's test kitchen. For 12 years she was assigned two accounts — Martha White flour and cornmeal products, and Jack Daniels. You don't have to be knowledgeable about Nashville history to know that these two products are intertwined with the city's early country music culture. They were Grand Ole Opry sponsors, for goodness sakes. Tennesseans and a lot of other Southerners grew up knowing you baked your cornbread and biscuits with Martha White, and Jack Daniels was the beverage of choice once you were old enough and could afford it. But back to cornbread. Mindy learned firsthand in the Martha White test kitchen how to make real cornbread from a lady named Linda Carman. Linda and her family were from Cullman, Alabama, and raised on really thin, crusty white cornbread. Although Mindy's New Mexico grandmother had made white skillet cornbread for her, with Linda she was "breathing cornbread" each day. "That's all we talked about and thought about," Mindy said. Mindy and Linda tested umpteen cornbread recipes. They judged cornbread cook-offs. And they developed a keen and simple taste for straight-forward cornbread. They knew it as what it really was: the Southern bread that extended the meal. And I wanted to find out from Mindy how to make the best cornbread this year. In Mindy's eyes the best cornbread is crusty on the outside and creamy inside. It's all about the crust. "I love crust. I can't get enough," Mindy confessed. She bakes cornbread about an inch thick. "It shouldn't be a giant cake. It should be flat, and when it's done you flip it out of the pan, crust up." To get this crusty cornbread, it comes down to math. Mindy likes an almost equal ratio of crispy baked crust to soft insides, so she uses around 1 1/2 cups cornmeal in a recipe that will be baked in a 12-inch skillet. That means the cornbread will spread out and cover a lot of surface area, thus yielding a lot of delicious crust. If you want a thicker cornbread, she says, you can adjust the recipe. 1. Begin with the right cornmeal, which for Southerners is usually white. 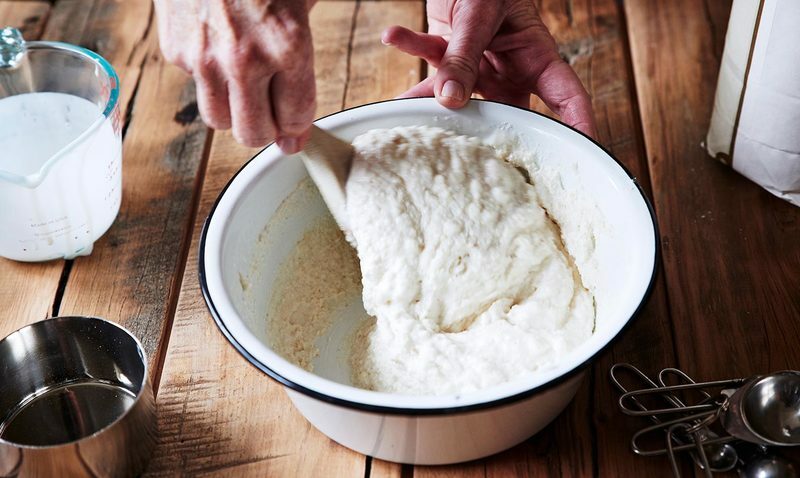 It can be just plain white cornmeal, or self-rising cornmeal, where the leavening is mixed in, or even self-rising cornmeal mix that has a little wheat flour added. Mindy isn't too picky about brands of cornmeal as long as it is white and finely ground. "That canister of Quaker Oats yellow cornmeal is too coarse," she says. "It never makes good cornbread." Look on the packaging for the words "finely ground." 2. Use full fat buttermilk and lots of it. 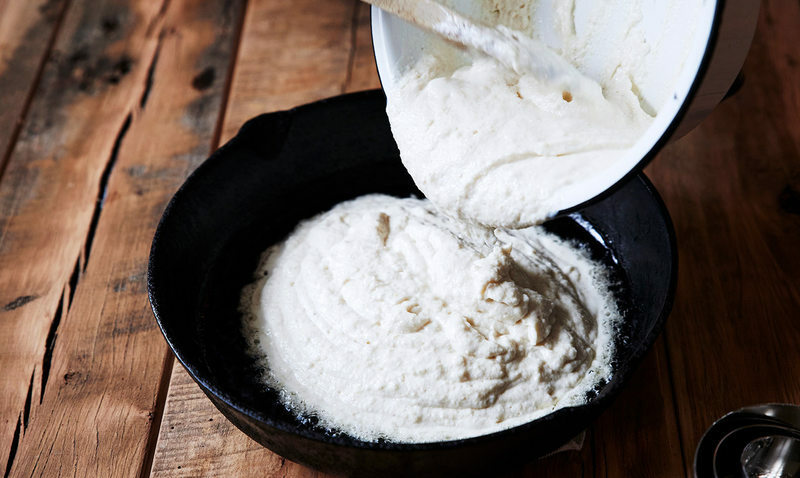 If you don't keep buttermilk around, create your own by stirring full-fat plain yogurt into whole milk until you get to the desired thickness, she adds. Yes, you can use whole milk instead of buttermilk, but you won't have that pleasant, acidic "twang" that you get from buttermilk. 3. No egg and no sugar. Mindy is pretty adamant about leaving these out. Eggs lend a cakey texture to cornbread, which purists loathe. And sugar, well, it not only sweetens the cornbread, but it makes it less authentic. True Southern cornbread is not sweet. Mindy calls this "the Jiffy effect." Old-timers "who tell me that their children all like sweet cornbread just shake their heads." 4. Use the right ratio of batter to the skillet. Mindy has found that this means about 1 1/2 cups cornmeal or cornmeal mix in the batter for a 12-inch skillet. You can follow the recipe on the back of the package, she says, but know the best ratio. 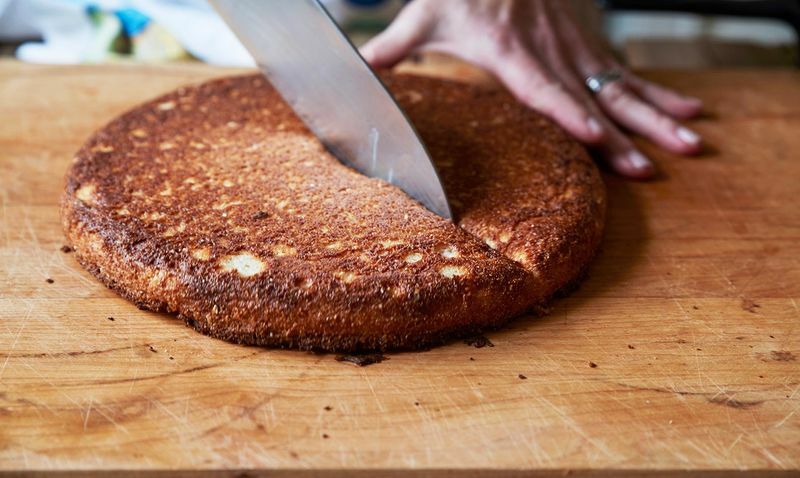 The recipe I share has slightly more, but the goal is not to overload the skillet with batter and bake up the biggest cornbread; the goal is to have plenty of crispy crust and moist insides! 5. Cook with a seasoned, 12-inch cast iron skillet. Add 2 tablespoons vegetable oil, or even better, bacon grease. Place that skillet in the oven to preheat at 450 degrees. Once your ingredients are mixed together, you pull the skillet out of the oven — using a hot pad to protect your hand — and pour the batter into the skillet. It should sizzle if the pan is hot enough. That's it! Now you know all of Mindy's cornbread secrets, and now you can make cornbread like the guru, your grandmother, and even that superstar chef in Atlanta, Birmingham or wherever you call home. And you're preserving one of the South's treasured recipes, back before Jiffy, back before sugar was added to cornbread along with cheese, sour cream and green chilies. Back when cornbread was the Southern daily bread. For more from Mindy, visit her website RB and Mindy. Enjoy! Place a rack in the center of the oven and heat the oven to 450 degrees. Place the bacon grease in a 12-inch cast iron skillet and place the skillet in the oven while it heats. 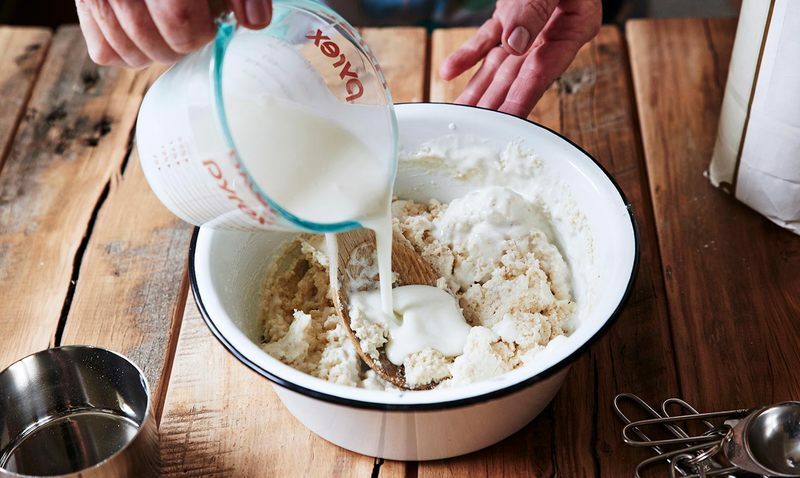 In a large bowl, whisk together the cornmeal and flour. Place the cornmeal and flour in a large bowl and stir to combine. Stir in the buttermilk and vegetable oil until smooth. The mixture should be creamy and pourable. Once the skillet is quite hot, carefully remove it from the oven and pour in the batter. It should sizzle. Bake until the cornbread is deeply browned, about 15 minutes. Run a knife around the edges of the pan. Immediately turn the cornbread out onto a cutting board, bottom-side up. Using a sharp knife or pizza cutter, cut into wedges and serve hot with butter, honey or sorghum.